Shenzhen Leeman Display Technology Limited is an excellent company and HI-TECH electronic industry specializing in LED LCD products for indoor and outdoor advertising, Solar LED Lighting, stadiums, live events and all applications. Established in 1994, we became expert in LED LCD display technology and we manufacture in our factory in Shenzhen City, China, and our products include all kind of LED signs, LED displays, LCD touch screen, electronic billboards, indoor and outdoor LED screens, video walls, time and temperature displays, animated pharmacy crosses and signs, large outdoor video screens, LED nets and curtains for stages, concerts and building walls. 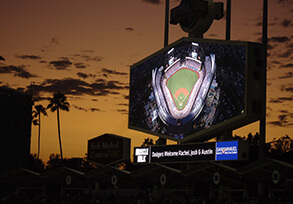 We also produce traffic signs, digital signs, outdoor TVs, electronic field banners and video scoreboards for stadiums, as well as mobile LED video screens on trucks that can be driven anywhere within a city, state or country for any occasion.